Chesley Fence & Deck is the company that residents from Belleville, Illinois, to St. Louis, Missouri, trust to install new decking at their homes. 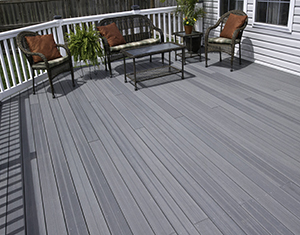 Having custom designed and installed countless decks since 1967, we have the experience and skill necessary to maximize the value you receive from new decking and to help you make the most of your outdoor space. We also install premium Western Red Cedar decking that has an attractive, natural look and can be painted or stained to your liking. We can even accommodate homeowners who are looking for a basic, low-cost option by installing a deck made from treated lumber. When you choose Chesley Fence & Deck to install new decking at your home, you’ll get more than just the finest products available in the industry. 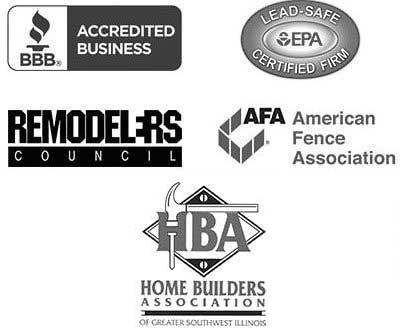 We are known for our installation expertise and outstanding customer care, as evidenced by our A+ rating with the Better Business Bureau. If you’d like to learn more about the decking we offer to residents of Belleville, IL, or any nearby community, contact Chesley Fence & Deck today. Don’t forget to ask about the financing options that we offer to qualified homeowners.